Cutzu, R.; Bardi, L. Production of Bioethanol from Agricultural Wastes Using Residual Thermal Energy of a Cogeneration Plant in the Distillation Phase. Fermentation 2017, 3, 24. Cutzu R, Bardi L. Production of Bioethanol from Agricultural Wastes Using Residual Thermal Energy of a Cogeneration Plant in the Distillation Phase. Fermentation. 2017; 3(2):24. Cutzu, Raffaela; Bardi, Laura. 2017. 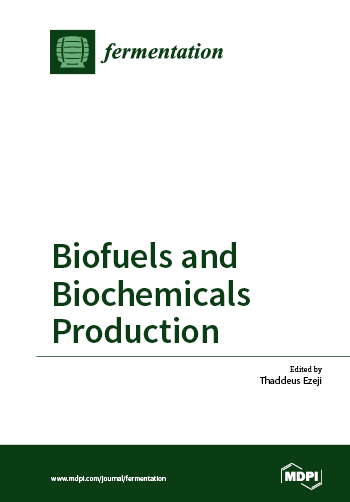 "Production of Bioethanol from Agricultural Wastes Using Residual Thermal Energy of a Cogeneration Plant in the Distillation Phase." Fermentation 3, no. 2: 24.